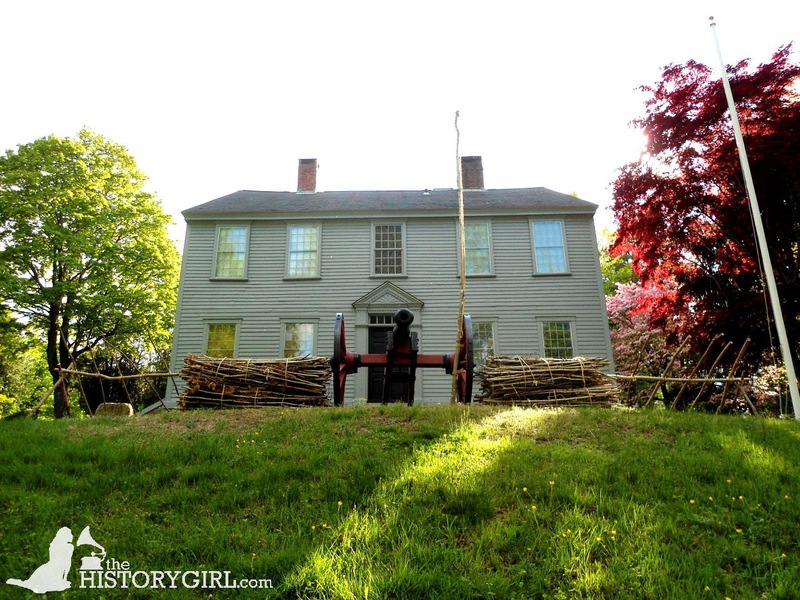 The Raid on Spell Hall: Nathanael Greene Homestead - Rhode Island - May 16 - 17, 2015 ~ The History Girl! On Saturday and Sunday, May 16 and 17, attend the 3rd Annual Battle for the Nathanael Greene Homestead Reenactment and Encampment. This annual fundraising event commemorates the 239th Rhode Island Independence Day and the 140th Anniversary of Greene’s Promotion from Private to Maj. General. Revolutionary War Reenactors, Living Historians, and Colonial Artisans recreate an authentic military encampment and battle on the grounds of Spell Hall, the Historic 1770 Gen. Nathanael Greene Homestead, home of George Washington’s Most Trusted General. Meet General and Mrs. Greene, experience colonial camp-life, music, musket and cannon demonstrations, tour Gen. Greene’s 1770 Homestead and watch Continental Troops defend Spell Hall from British and Loyalist Raiders. Admission: $6 for adults and $4 for children. The Gen. Nathanael Greene Homestead is a 501 (c)3 non-profit located at 50 Taft Street, Coventry, Rhode Island. Free parking will be available at Concrdia Fibres Mill off of Bridge on Laurel Avenue. For more information, visit www.nathanaelgreenehomestead.org.